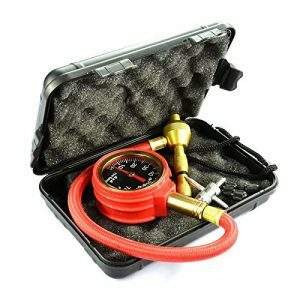 This 2 in 1 Professional grade heavy duty tire gauge & rapid deflator will allow you to quickly alternate between checking your tire pressure & deflating your tire to a desired PSI as many times as you like without ever having to remove the unit or having to carry 2 units with you to get the job done. Rapid deflation of approx 1Psi a second! I have one of these from OverlandPros. It works great. I would say it’s just about as fast doing one tire at a time as using the screw on auto deflators simultaneously which I also have. The thing I like best about this tool is that I don’t have to constantly fiddle with the set-points like I do on the auto deflators and the gauge tells me exactly what pressure I’m at. 100% recommended. The one con that I have is the storage case it comes in is thin plastic which makes it fairly flexible causing it to be difficult to latch closed. Not a big deal, the case works just fine and isn’t a problem if you have another 10 seconds to fiddle with it. If you’re going to get a deflator, get this one. It’s super fast, accurate, and easy to use. 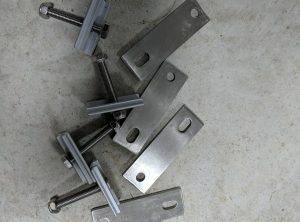 This is a replacement set of mounting hardware used on all our RTT’s. 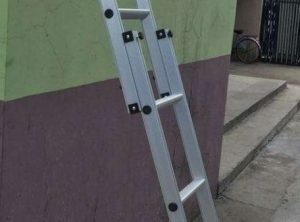 Aluminum sliding ladder can be used on any RTT model. The ladder is 78″ tall but you can also purchase the extension to add an additional 18″. You may need to re-drill the holes for the bracket mounts to set them for the correct width. If you find thee cover straps are a little short for the amount of gear you pack in your RTT, then this is your solution. 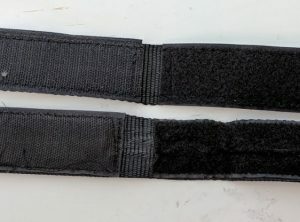 Our extended cover straps are longer than the standard ones allowing you to have more velcro to cinch the cover down. 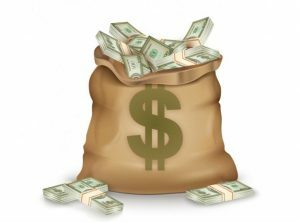 $25 Gift certificate good towards anything we sell on our site! 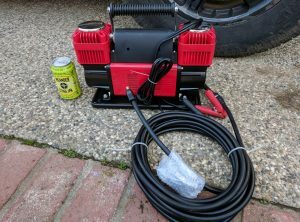 If you are looking for a compressor to air-up your tires, look no further!